To some, it’s a pastime; to others, a way of life. Wherever golf ranks on your list of passions, high mountain courses are among the most spectacular and rewarding golf experiences in the world. The pinnacle of Canada’s mountain golf is Stewart Creek Golf & Country Club, consistently rated 4.5 stars by Golf Digest. Few golf courses in North America can boast its spectacular combination of setting, extraordinary vistas and naturally sculpted fairways. Designed by Canadian Golf Architect Gary Browning in 2000, it continues to be a favourite among returning guests, and a discovered jewel for new visitors. 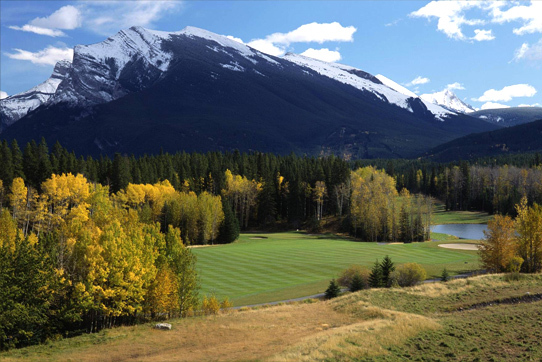 With breathtaking views of the Three Sisters, Cascade, Pigeon and Ha Ling Mountains, Stewart Creek is a course that no one who has had the opportunity to experience will soon forget. 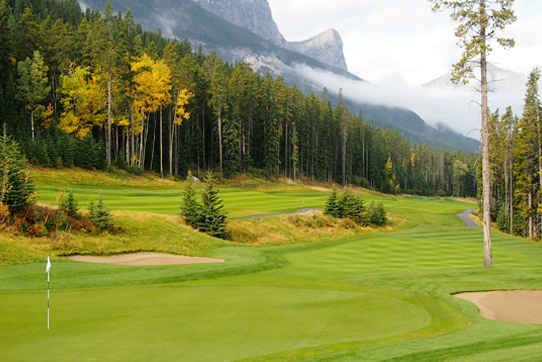 Built on an abandoned mine site, this world-class championship course weaves the history of Canmore and the Canadian Pacific Railway into the natural contours and rugged geological formations that are the signature of mountain golf. Measuring 7,195 yards from the back tee and 5,136 from the front, Stewart Creek challenges the professional player while allowing for a stimulating game for the novice. Weaving History into Natural Contours. Challenging the professional player while allowing for a stimulating game for the novice.